We love burgers. We love restaurants that specialize in burgers. But sometimes we try to be healthy. Tonight was a case in point. After considering several options, we decided to sample a salad at Grub Burger, remembering how surprised we were by the non-burger “snacks” on the menu. At the suggestion of Sam, the very friendly and helpful bartender, we started with the Napa salad. 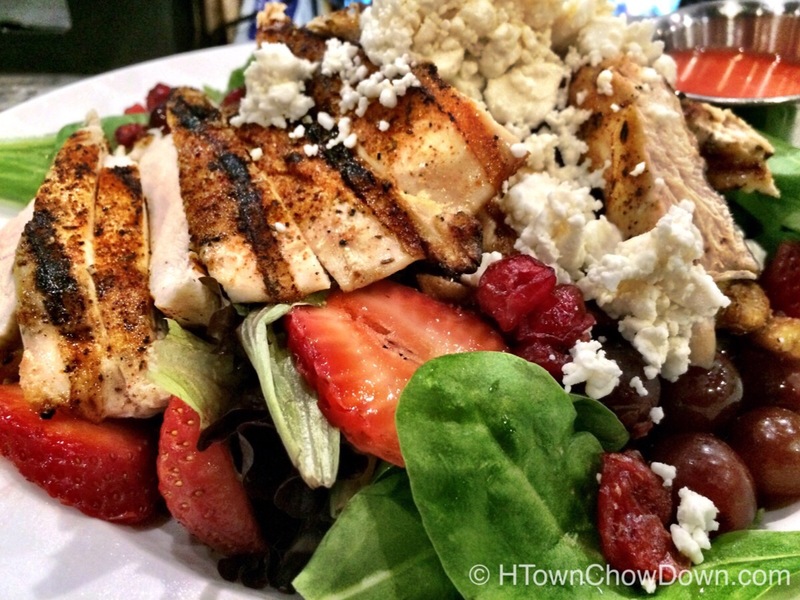 Mixed greens are topped with goat cheese, strawberries, mission figs, and toasted almonds. A subtle hazelnut vinaigrette finishes a savory / sweet salad, and at Sam’s suggestion we topped it with a grilled chicken patty. The result was a tasty salad we’d order again. The chicken patty had an interesting texture; it was very coarsely ground, and the chunked texture made the provided knife unnecessary. Now it was time for dessert. 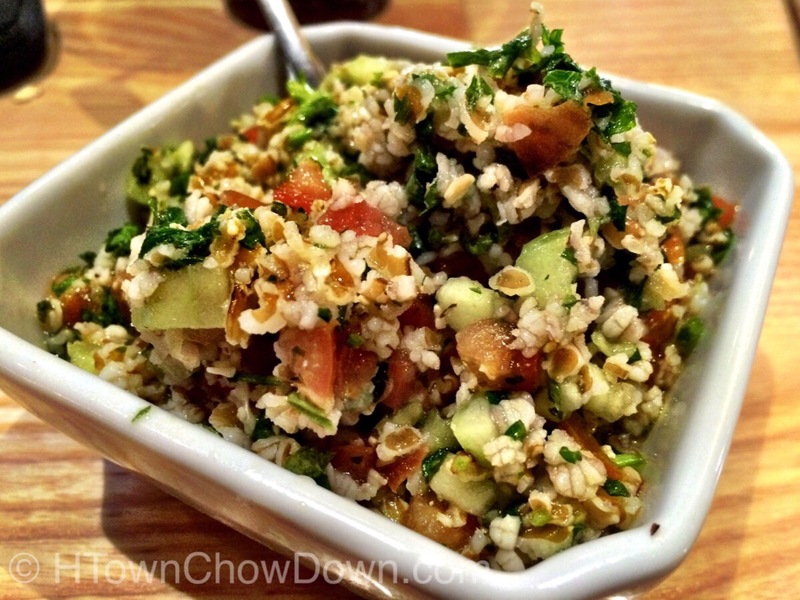 Continuing the nontraditional / healthy theme, we went with a side of tabbouleh. Bulgar wheat, chopped parsley, to,arose, mint, and cucumber are dressed with lemon juice, and the result is a light, zesty flavor that finished the meal nicely. 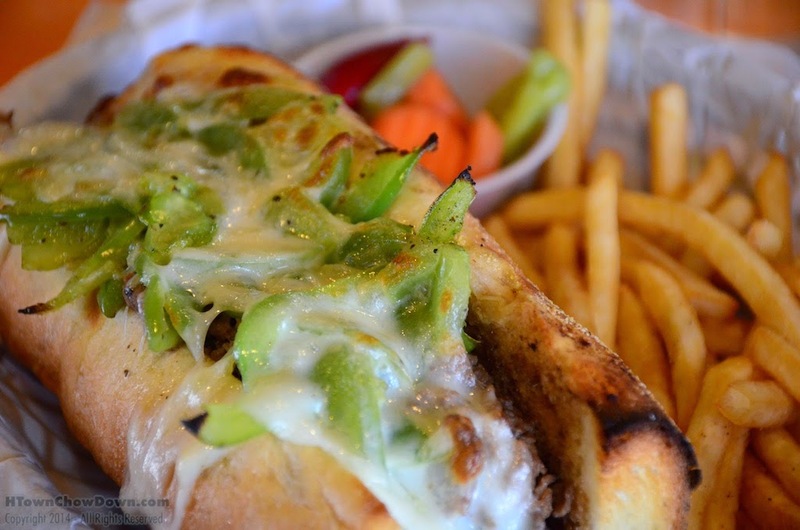 It’s doubtful that we’ll abandon the very good burgers at Grub Burger, but it’s good to know that when the mood strikes, choosing healthy options doesn’t mean that you’re going to have to endure an unpleasant dinner. Give ’em a try.